It is April already? When did that happen. 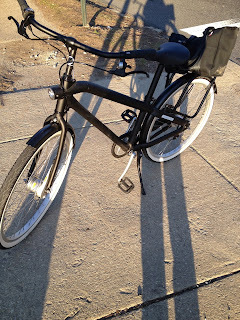 This past weekend we made a swap and we now have a Vanmoof 6.7 it is a long story and I will get to posting it eventually BUT you will see the new beauty as my chosen bike for the very first day of 2014's #30daysofbiking. Quick blog history I started this blog in 2012 as a log of that year's challenge. Spoiler alert I threw my back out on the second day and quit. LOL. 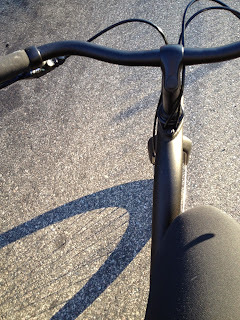 Last year I was in my last month of pregnancy so there was no way in hell I was challenging myself to ride daily. So this is my first "real" year! Yesterday was kind of a busy day for me as I launched my new project GIVE MOM A BIKE LANE and I had work in the afternoon. I did a multimodal trip, we tossed my bike in the trunk of our car and my husband dropped me off at work so I wouldn't be late. Then I was able to ride my bike home from work (child free). The ride home was a little longer then normal. The Vanmoof a lot like IKEA comes with one allen's wrench to adjust the bike. I hadn't done this yet so I hopped off the bike twice once to adjust the seat and once to adjust the handlebars. I also had some trouble keeping my bag bungeed to the rack so I finally gave up and tossed it on my handlebars. So the 20 minute ride home was a little longer then expected! But it was great to test the new wheels and get the parts worked out to my perfect size. As I entered my residential neighborhood a woman with a baby called out to me to ask for some help. She was lost looking for her friend's home and her phone had died. I was able to lend her mine so she could call her husband and get directions. 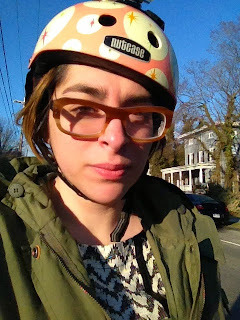 I love that biking forms community, if I was in a car she would have never called out and I probably would have whizzed by never even noticing her. CHEERS TO 30 DAYS OF COMMUNITY AND BIKING! SPEAKING OF COMMUNITY. 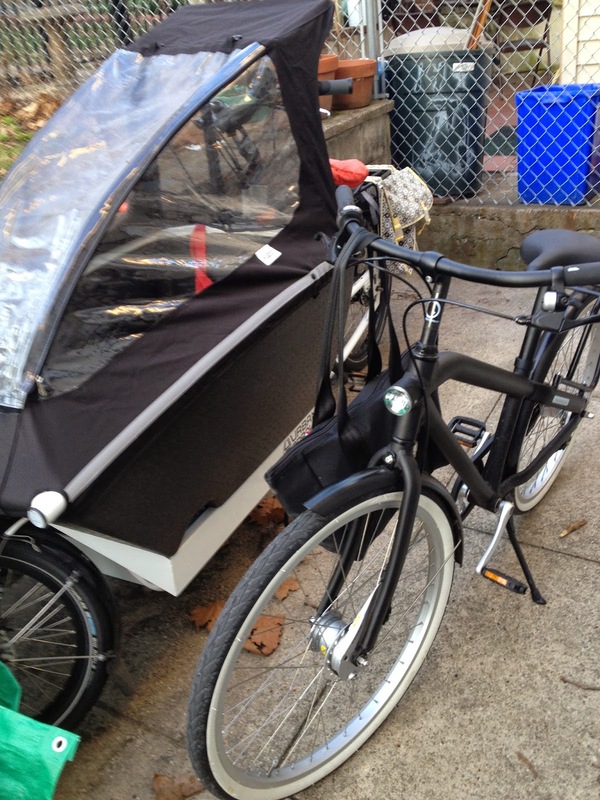 KIDICAL MASS PHILLY was rescheduled and we will ride this weekend. Washington Square Park to Rittenhouse Square details are up on the website. Hope you can join us!